The way people have learned to read and interpret written language is something that scientists have studied for a long time. How is it that simple marks on a mere piece of paper can convey mind-changing ideas? There are many different alphabets in use today. These include not only the familiar Latin alphabet employed by Western European languages, but also Cyrillic used in Eastern Europe, Hangul used in Korea, Cherokee used by American Indians, and Hanzi used in China. Other alphabets include the Armenian alphabet, the Hebrew alphabet, the Arabic alphabet, and the Greek alphabet. If you are reading this with ease, that means you were taught the common Latin alphabet. But how did you learn to read this? According to a recent feature in the Wisconsin State Journal, there are three primary steps to learning to read in any language and alphabet. The first step is exposure to the world. This can occur through learning the names of animals, people, places, emotions, and objects. The second step is knowing how to speak a language. To know what one wants to express through writing, one must first know the words to use to convey his or her thoughts. The third and most important step is an obvious one: understanding the printed language. This requires knowing the symbols of the written language and how they sound when placed together. Depending on the language, it can be easier or more difficult to learn an alphabet. For some new languages, speakers are required to learn a whole new alphabet. So how does one master it? Start with small words and read frequently. Learners will get better at reading by practicing, and the brain adapts to new words the more it uses them. Simply put, the more one reads, the easier it will become. Just like with everything else, practice makes perfect. 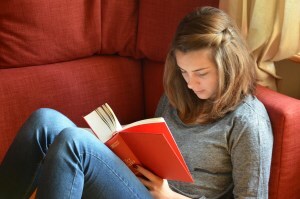 Getting better at reading – in English or otherwise – requires regular and frequent usage of the language. Languages are the gateway to the world and all those in it, so though learning a new one might seem daunting, it's probably worth it.